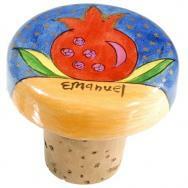 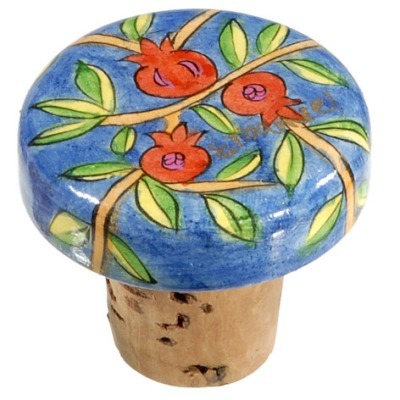 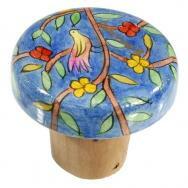 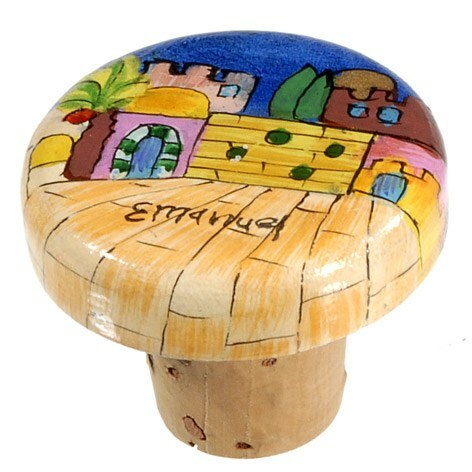 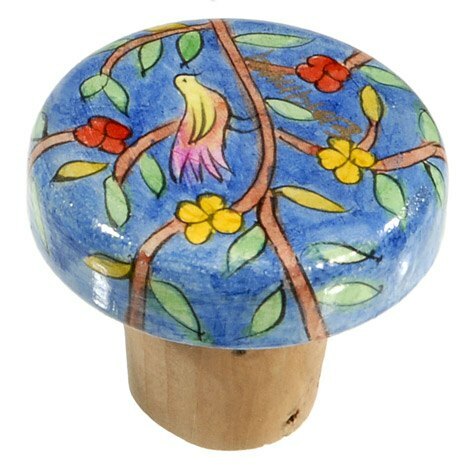 Yair Emanuel’s wine corks are manufactured out of wood and are painted in vivid acrylics. 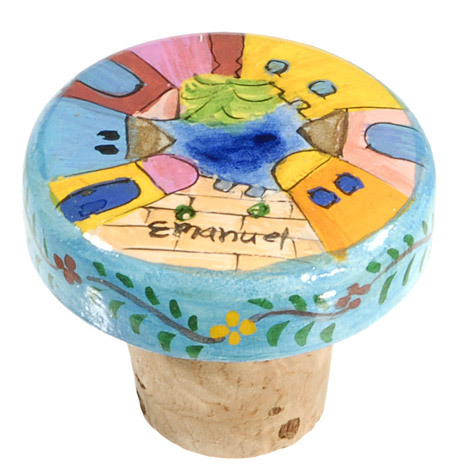 The reusable corks are utilized in closing and preserving wine bottles. The cork enables the wine to stay fresh and delicious over time. 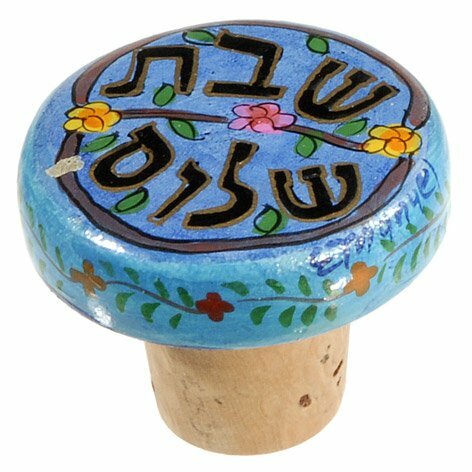 The vivid colors and painted designs add beauty and attractiveness to the Shabbat table.